My sister called me the other day. She was going to make Fruit Pizza that day. It's one of those desserts that I love, but had forgotten about. I just couldn't let the summer pass by without making some for my family too. I decided this time to make them in individual cookies. I thought it would make portion control easier. No more cutting off a huge piece of the pizza. Sadly, it didn't work for me. I just ate multiple cookies instead. The good news is they are a delicious and refreshing dessert. The bad news is my waistline is not getting any smaller. Am I the only one with no self control? 2. Add eggs one at a time and beat well. 4. Add dry ingredients and mix well. 5. Chill thoroughly, 3-4 hours or overnight. 6. Roll out on a floured board and cut out. 7. Bake at 375 for 6-8 minutes. 1. Mix cream cheese with mixer until smooth. 2. Add whipped topping and powdered sugar and mix well. 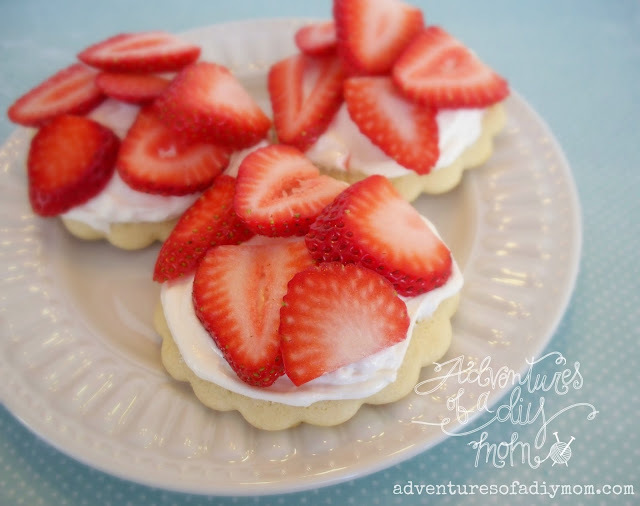 Frost cooled cookies with topping. Top with desired fruit. Store in refrigerator. If you would like to make a traditional pizza, spread cookie dough evenly out on a cookie sheet or pizza pan and bake for about 25 minutes. Frost and top with fruit. You can add whatever fruit you want, I personally LOVE it with strawberries. So yummy! 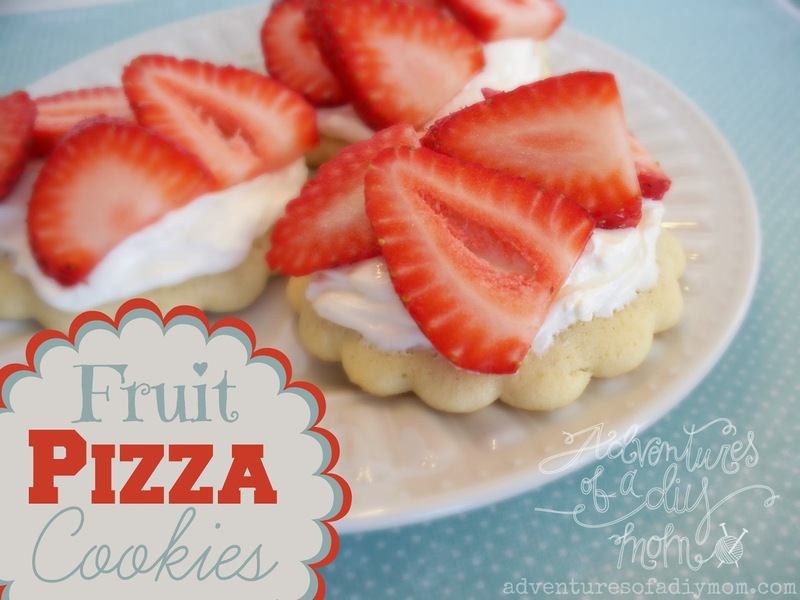 What is your favorite fruit for fruit pizza? These look soo good. I can't wait to try them, thanks for sharing.